Purchase this bike with our 2.99%p.a* offer! *This offer is available on MY18 floor stock Motorcycles, all pricing includes On Road Costs and GST. This advertisement is for a credit agreement with BNZ. BNZ lending criteria, terms and conditions and fees apply. Application fee of $330 applies. Fixed interest rate of 2.99% p.a. over 48 months. Minimum 10% deposit required. Loan to be secured by the asset purchased. You will be required to insure the asset. For further details contact BNZ on 0800 236 777. Cannot be used in conjunction with any other offer or for business purchases. Available at Road and Sport Harley Davidson. Offer valid to 30 April 2019. The name may be Fat BoyÂ®, but the look is all muscle. This is the icon, riding on a 240mm rear tyre, 160mm front tyre and solid disc wheels. You get satin chrome finishes and signature LED lighting. 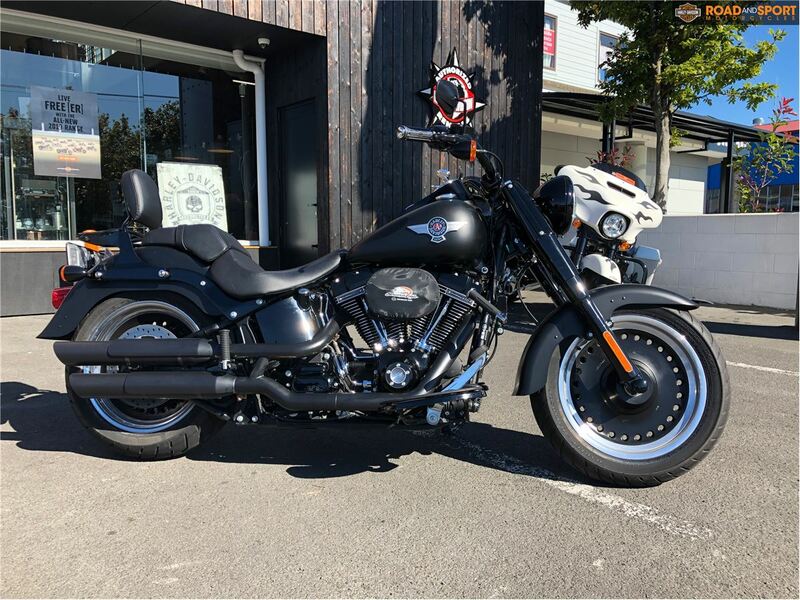 This version is 14 kilograms lighter than the previous generation Fat Boy models, and its slinging torque from a Milwaukee-EightÂ® 114 engine. You”™ll notice the difference the instant you crack the throttle. Sometimes a bike comes along that changes the landscape. The Fat Boy is one of them.